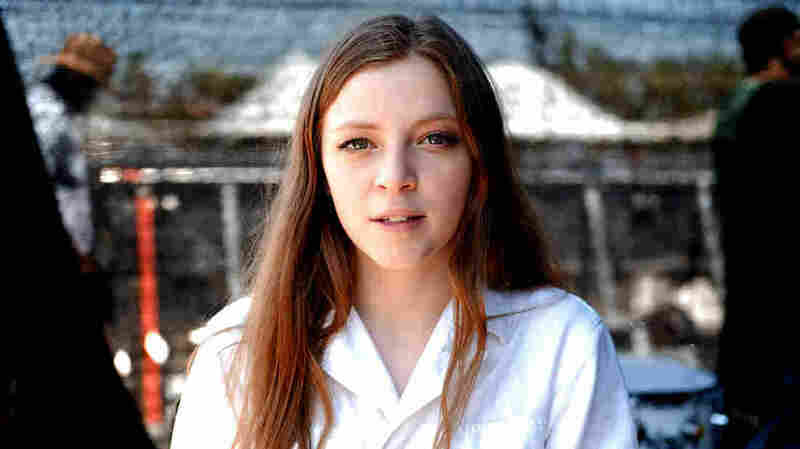 All Bets Are On NPR Music Slingshot Artist Jade Bird The British-born artist developed a fondness for American country music in her teens. At just 20 years old, the NPR Music Slingshot artist's new single is starting to break big in the U.S.
Jade Bird backstage during 2018 Stagecoach Country Music Festival on April 27, 2018 in Indio, Calif.
Jade Bird is a 20-year-old British-born artist whose songs feel like they were birthed from the hardscrabble spirit of Americana music. Armed with a white guitar and a crystalline voice, this NPR Music 2018 Slingshot artist has a knack for writing songs about the moments in life that you wish you could forget. Bird developed a fascination with America early in life, partially through the work of country music icons Loretta Lynn and Dolly Parton. These women endured hardship and were able to rise above. Bird draws from their resilience. On her 2017 EP Something American, Bird sings about betrayal and the death of young love. But she isn't trapped by those instances. Instead, Bird reclaims them by using her booming, sometimes raspy voice to snarl back at the sources of her unhappiness. But on her latest song "Lottery," the young talent seems to be pulling influence from Alanis Morissette. The song starts off sweetly, exuding youthful innocence as she recalls a conversation with an ex-boyfriend, but then quickly takes an aggressive turn. Bird's voice fills with rage and disappointment over her former partner's decision to bet on love with another woman. Though she has yet to release a debut album, Bird will go on her first North American headlining tour this fall. With multifaceted potential, there's no telling where this Bird will land.